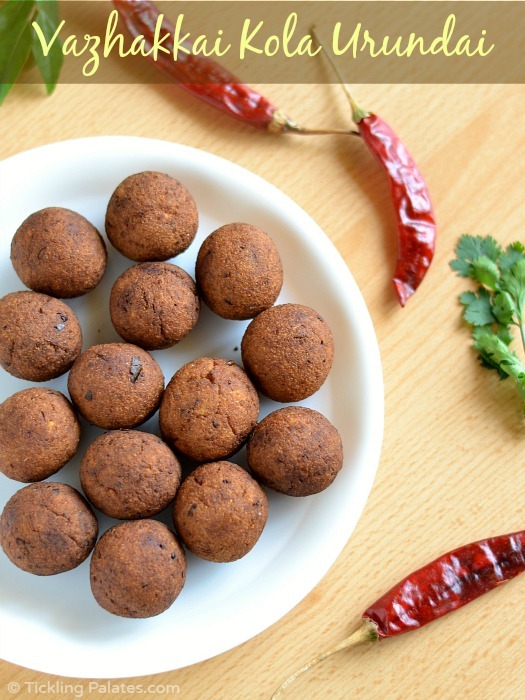 Kola Urundai is very famous across South India and each and every province have their own version of making these balls usually made using either minced chicken or mutton. 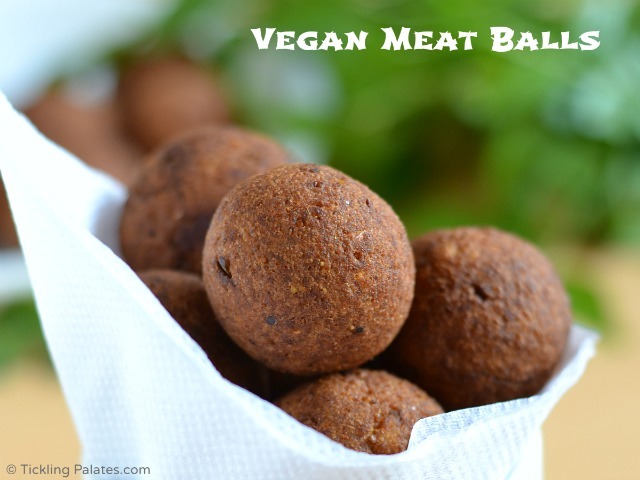 And Vazhakkai Kola Urundai is the vegetarian or vegan version of the same meat balls in which raw banana or plantain is used as a substitute for minced meat. My Grandma used to make a lip smacking kola urundai, but then she is an expert when it comes to cooking vazhakkai as she had lots of plantain trees in her backyard. I had been happily following the same recipe as it was awesome until I had a chance to have these in a Chettinad Achi’s house. It was outstanding. The texture and the taste was just perfect. When I checked out her recipe, the contents were the same but the only difference was in the procedure. I earlier used to add all the ingredients raw except for the plantain, but she asked me cook the entire contents before grinding. As a result, very less water is needed to grind and the texture and taste was just great. These vazhakkai kola urundai has multiple uses. 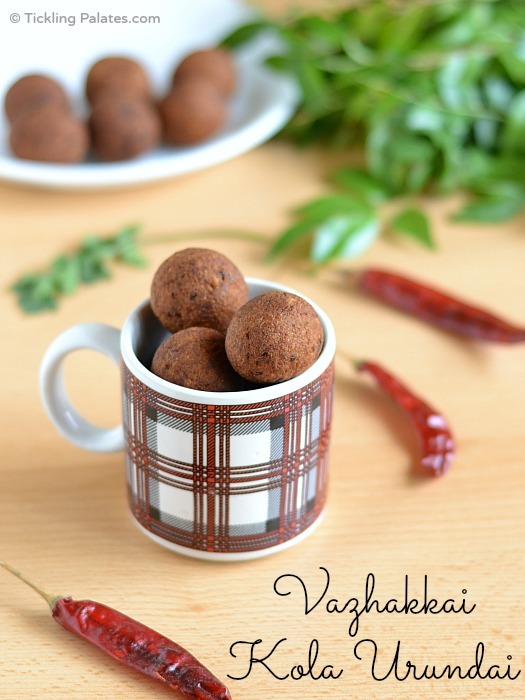 You can either serve it as side dish to rice as you would serve vazhakkai chips or use it as a kofta in Chettinad masla kuzhambu, which I shall share the recipe later on or simply serve it as an evening snack with tomato ketchup which the kids will definitely love to eat. 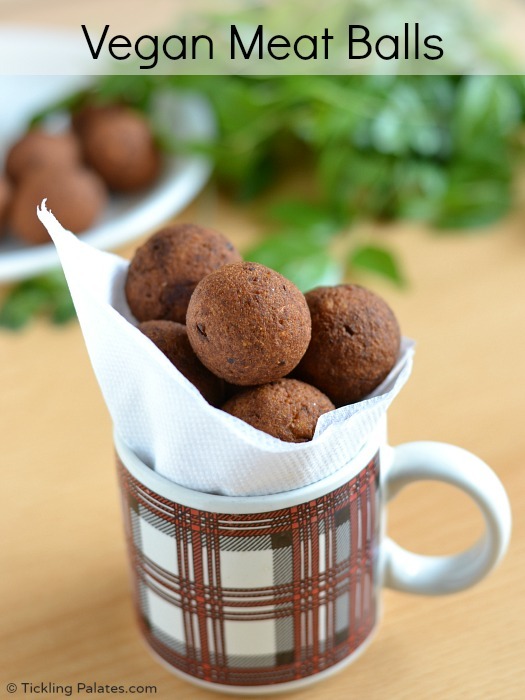 If you follow the recipe to the T, these balls will not even use that much oil even though you are deep frying them. Using a mixie jar, finely powder the roasted gram dal and keep it aside. Crush the garlic pods and keep it ready. Wash the vazhakkai and trim the edges. Cut it into two horizontally and pressure cook in enough water for 4 to 5 whistles. Once the pressure releases, remove the plantain pieces and peel off the skin. It will easily come away. Now you can either grate the plantain or mash it well using a fork and keep it aside. I grated it as it will be even and easier to mix as well. In a skillet, heat 2 tsp oil. Add fennel seeds and when it sizzles, add the crushed garlic pods and sauté till it changes color. Switch off the stove. Immediately add the red chili powder and sauté for 5 seconds to mix well. This will prevent the powder from getting burnt. Next add grated coconut and sauté in the heat of the pan itself till everything gets mixed well. Let the mixture cool completely. Now add the grated vazhakkai or raw banana, salt and grind using the whip button at regular intervals till everything gets mixed well. Transfer the ground mixture to a bowl. It will be sticky to your touch. Add the powdered roasted gram little by little and begin to knead with your fingers, crushing any thick pieces of raw banana. Make small balls to the size of a gooseberry and set aside. Keep the balls covered to prevent from drying out. Heat a pan with oil for deep frying. When hot drop 5 to 6 balls at a time and deep fry till golden brown. Drain onto a kitchen paper. Serve hot either as a side dish to rice or as a kofta in a gravy or as a snack with some tomato ketchup. Do not reduce the quantity of red chili powder. As we will be adding roasted gram powder in the end, the spice level will even out. Instead of pressure cooking, you can also cook the plantain in a open vessel filled with water but it will take some time. Do not dump the entire roasted gram powder at one go. I still had 1 tbsp of powder left out. 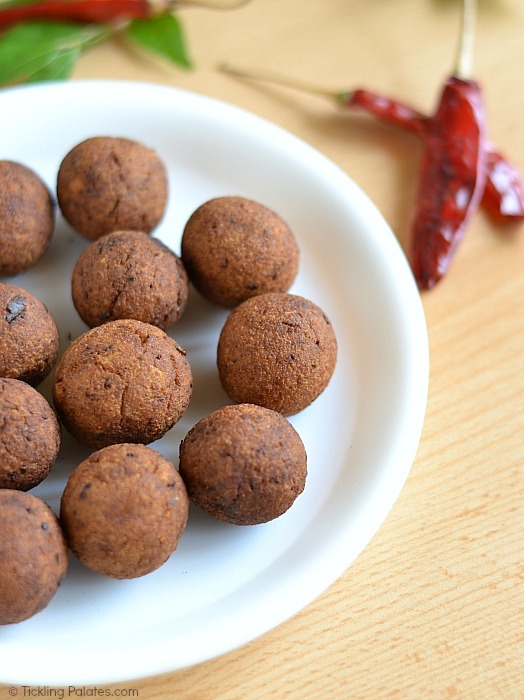 If you do not have roasted gram dal, then you many use chickpea flour (besan/kadalai maavu)). Do not add more than necessary amount of water. The coconut will provide enough moisture and grease. After making the balls, always keep it covered as they tend to crack upon drying out.